It is a good idea to test your Rails 5 app with different network speeds such as 2G, 3G, 4G, WiFi, DSL etc. 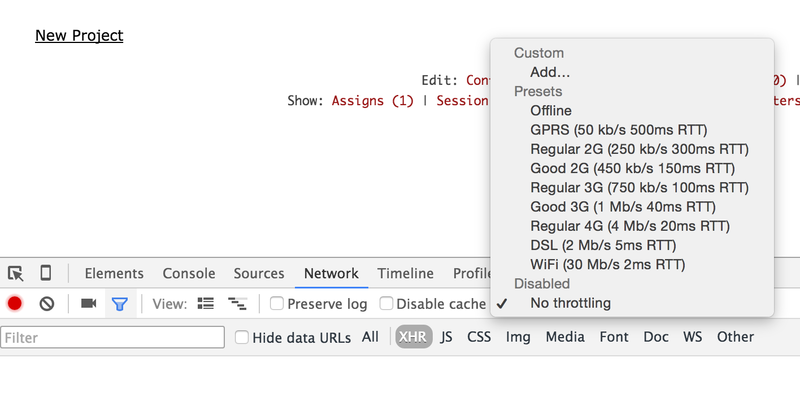 In Chrome, go to Network tab and click on the drop down where the default value is No throttling. You can now select different network speed to test your web app. If you have offline feature, you can test that also using this tip. This is useful to make sure that you are loading only the resources that is required for a given page. You will also be able to discover problems that happens only in slow network connections, for instance missing image spinners. In this article, you learned how to throttle the network to test Rails 5 apps using Chrome developer tool.